“Accessing the Courts of Heaven – How to Breakthrough in Prayer” outline and provides precursors to the “Unlocking Destinies from the Courts of Heaven” curriculum and subsequent books in the series. This compact concise edition is an ideal resource ministry tool. Within its pages, Robert Henderson presents a blueprint for approaching God as a father, friend, and judge. He has the unique ability to appeal to the intellect with information and the spiritual insight to transform the heart. Robert Henderson is an internationally acclaimed apostolic leader, author, and speaker. He is recognized for his bold and authoritative teachings on prayer, spiritual warfare, and hidden truths of the Scriptures. “Accessing the Courts of Heaven – How to Breakthrough in Prayer” provides a fresh mindfulness on the importance of perseverance in praying and how to “position yourself through a breakthrough in your petitions. “God Encounters Today – Your Invitation to a Life Style of Supernatural Experiences” is a balance of biblical truth with a prophetic message of signs, wonders, and the fullness of the spirit, of God through intimate encounters with him. 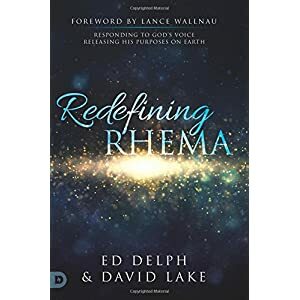 The book includes insights from the encounters of Jacob, Moses, David, and other men and women from the Bible as well as authentic real life stories of individuals changed by dynamic God encounters throughout history. The Goll’s carefully present profound practical instruction on the great diversity of God encounters and the purpose of God encounters today. Each chapter includes a powerful passionate prayer for the reader. James and Michal Ann Goll work as a team in equipping believers to understand the supernatural as conference speakers, authors, mentors, and through their God Encounters Ministries. Their dynamic teaching includes subjects in the realm of the prophetic, prayer, spiritual warfare, and spiritual growth. “God Encounters Today” is a challenge and invitation for readers to break out of man-made religious boxes to join in a quest for a fresh life changing revelation from God to explore the unlimited opportunities available to Christ followers today. Bob and Laura Larson have collaborated in the writing of “Set Your Family Free.” This guide book is designed to provide biblically based counseling, founded on scriptural principles, and sound psychological practice, combined with spiritual and emotional Inner Healing. “Set Your Family Free” is uniquely different from Bob Larson’s other books. In this book the reader is provided with a proactive plan for using biblical knowledge to raise spiritually equipped children with an understanding that will enable them to avoid falling into demonic strongholds by using an offensive approach when facing spiritual warfare. Using a case study as an example Laura describes a plan for purposeful parenting that resulted in repentance, restoration, and healing. An important step in this instance was the necessity to help these parents recognize the dangers of the previous generation’s predispositions, before they could resolve the negative spiritual impact these negative behaviors on their son. Dozens of similar stories tell of ways that Satan attacks families, and tries to destroy marriages. Therapeutic interaction, and deliverance prayers may be needed to restore these families to a biblical model. The logical progression and organization of the material in “Set Your Family Free” heightens reader understanding, assimilation of the principles, and for taking the action steps necessary to make application of these principles to real life issues. Hundreds of other keys and suggestions are presented with positive suggestions to produce spiritual growth, and victory over the powers of darkness. “Set Your Family Free” is an important redemptive tool for families in crisis, for Christian deliverance, inner healing, marriage counselors, and pastors.